As attorneys who regularly practice in estate planning, wills, and probate here in Florida, we work with a number of clients who have to take extra precautions in planning for their global assets. It is extremely important to take extra precautions and steps when you own foreign assets, especially when it comes to structuring ownership of the asset in order to maximize its value; not only for estate planning; but for the purposes of tax planning as well. Make sure you that have the very best, experienced team of advisers in place, and consult with them, especially before you purchase a major foreign asset, such as real property in another country. We will also sometimes involve local counsel in the other country where the asset is located so that we are clear, for the sake of our clients, on how the local law affects estate and tax planning. For example, some countries to do not recognize the existence of a trust, while others do honor U.S. documents and will allow you to have one estate plan to cover both domestic and foreign assets in the form of a multi-jurisdictional trust or will. This counsel is important, as it will also assist with any purchase and transfer of real estate. Make sure that you are on a “full disclosure” basis with this team of advisers—especially when it comes to your attorney. Your attorney should go above and beyond the typical “fill out this estate planning questionnaire” when it comes to foreign assets because many people do not even think of mentioning these types of assets on those questionnaires. This is especially important because U.S. citizens are taxed on global assets for tax purposes. The IRS takes tax evasion on foreign income and asset protection very seriously, therefore, you need to obtain legal advice not only as to your domestic assets, but foreign property as well. Depending upon the foreign asset and where it is located, we will also sometimes advise clients to have two wills instead of one—one to address the disposition of U.S. assets, and the other foreign property. This counsel is important, as it will also assist with any purchase and transfer of real estate. This also sometimes makes probate easier. 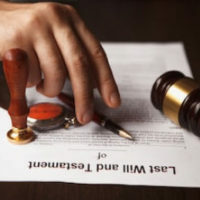 Still, even if assets are separated out by two separate wills, your U.S. attorney and foreign counsel will need to coordinate on drafting the wills as, without careful planning, one could end up canceling the other one out. If you or your loved ones have global assets, contact our Florida estate planning attorneys at Moran, Sanchy & Associates today to ensure that you are protected when it comes to the legal and tax hurdles of owning global assets.